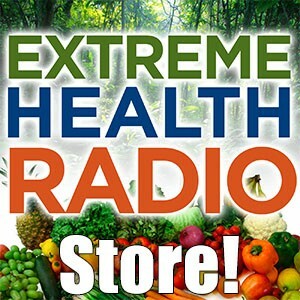 Dr. John Bergman joined us in this awesome podcast to talk about how to eat healthy as well as having a healthy lifestyle. Eating healthy and having a healthy lifestyle seem to go hand in hand but they’re not the same. For example one could have a diet of clean organic whole foods but also work in construction or work laying tar on the streets. Eating healthy foods is one small part of living a healthy toxin and chemical free lifestyle. Everything matters from the food we eat, the thoughts we think, the chemical exposures we’re surrounded by and even our spiritual life. It all matters and they all help to build a whole human. In this show with Dr. John Bergman we also discussed vaccines and I was blown away but what he had to say about vaccine shots and flu shots. He was sharing with us at the coffee shop about some patients he’s had recently where they’ve developed cancer of the bone, osteosarcoma at the exact locations of where the vaccine injection site was. For some odd reason (which I can’t understand why I never put together myself) I always just thought a person could develop some kind of cancer from vaccines but I never thought it could be at the exact site where the needle was injected into the skin. So we talked about how to get healthy, the dark ages of health and the current health renaissance we’re in. We have the option to turn things around. It starts with us! It stats with where we spend our money, the thoughts we think, the foods and juices we consume and how we live our life on a day to day basis. This is really important stuff people. Being healthy, vibrant full of energy and life is a really rebellious act. It takes work, it takes a spiritual shift and it takes us actually placing value on our own lives and having self worth for our lives. We’re currently working behind the scenes with Dr. John Bergman to create the Extreme Health Academy (link below) to help educate, inspire and fully support each of us to take care of ourselves and in turn, change the world. But it all starts with education. It starts with us understanding who we are and why we’re here. It starts with us. 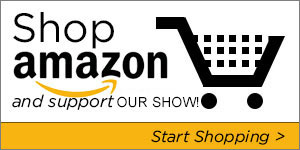 I hope you enjoy this show with Dr. John Bergman! Dr Bergman was propelled into Chiropractic by a severe auto accident, with 2 broken legs, fractured skull and sternum along with several organ injuries. With great need and a passion for healing and regenerating Dr Bergman began studying the body’s recovery process. Dr. Bergman obtained his degree in Doctor of Chiropractic at Cleveland Chiropractic College in Los Angeles (CCCLA), California. Dr. Bergman teaching at CCCLA: Human Anatomy, Physiology, Biomechanics, and 4 Chiropractic techniques: Full Spine Specific (Palmer Method), Thompson, Diversified, and Extremity Adjusting. 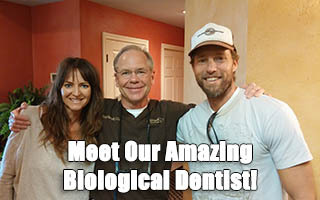 As a past Instructor Dr. Bergman has an extensive knowledge of human anatomy and human physiology that few can match. Dr. Bergman’s practice has continued to grow serving hundreds of families, focusing on corrective and wellness care and is dedicated to pediatric development and adult health care. With Dr. Bergman’s unique approach and direct experience of recovery from severe injury, many successes can be achieved in even with the most challenging cases.